Since our last bargaining update, the APUO and the Central Administration agreed to seek the assistance of a third-party mediator. We have mediation sessions booked with Arbitrator Kaplan on June 8 and 14. In mid-April, the Central Administration unilaterally decided to deviate from the bargaining process established by over 40 years of past practice by presenting a “Comprehensive/Global Offer” and asking the APUO to respond in kind. The APUO negotiation team declined the offer and informed the Central Administration that it would prefer to continue bargaining as per usual. At that time, the Central Administration reiterated that it would only respond by global offers once the APUO has countered on all active proposals. The Administration also informed the APUO that it would not sign off on proposals on which both parties had reached a mutual agreement. In the view of the APUO, the Central Administration’s new inflexible bargaining approach has seriously impeded progress and reduced efficiencies. Prior to the Administration’s unilateral change in the bargaining process, the parties had signed off on seven proposals, two tabled by the APUO and five tabled by the Central Administration. Subsequent to mid-April, eleven other proposals have been agreed to by both Parties, nine tabled by the APUO and two tabled by the Central Administration. Both Parties have withdrawn many of their initial proposals. Please find below some highlights of the progress that we have made and some of the non-monetary issues that remain outstanding. APUO / Selection of chairs: The APUO wants academic unit colleagues to select their chairs. We also propose to formalise the compensation of two (2) course releases per year for chairs. Central Administration has rejected our proposal on compensation and is proposing a pilot project for the election of chairs in the Faculty of Social Sciences. APUO /Selection of Deans: The APUO has drastically modified our original proposal. The APUO is asking for a ratification vote by members for the renewal of a Dean’s appointment. APUO / Selection of Vice-Deans: The APUO has drastically modified our original proposal. The APUO is asking for a ratification vote by members in the appointment of Vice-Deans. Administration / Exclusions: The Central Administration seeks to double the number of excluded Vice-Deans. The APUO has rejected this proposal. Administration / Student evaluations: The Central Administration seeks to remove their obligation to get APUO’s consent prior to using evaluation data obtained after their unilateral decision to change the student evaluation system. The APUO has proposed doing a joint study on student evaluation questions and the system, and the possible use of teaching dossiers. In return, the APUO is agreeing to provide a temporary (starting May 2018 for the duration of the study) consent to the use of the data in evaluating members’ teaching. Administration / New evaluation tools: The Central Administration seeks to remove our consultation rights and their obligation to get APUO’s consent prior to using any newly development teaching evaluation tool (such as a teaching dossier). The APUO has rejected this proposal. APUO / Complement: The APUO has proposed to add the complement (the minimum number of APUO appointments) language in the Collective Agreement and suggests the University of Ottawa hire 15 new members per year. The Central Administration has rejected renewing the complement agreement and refuses to discuss the issue unless it is directly linked with the monetary proposals. If the complement agreement is not renewed, it will allow the Central Administration to abolish APUO positions when members leave the University, be it for retirement or any other reason. 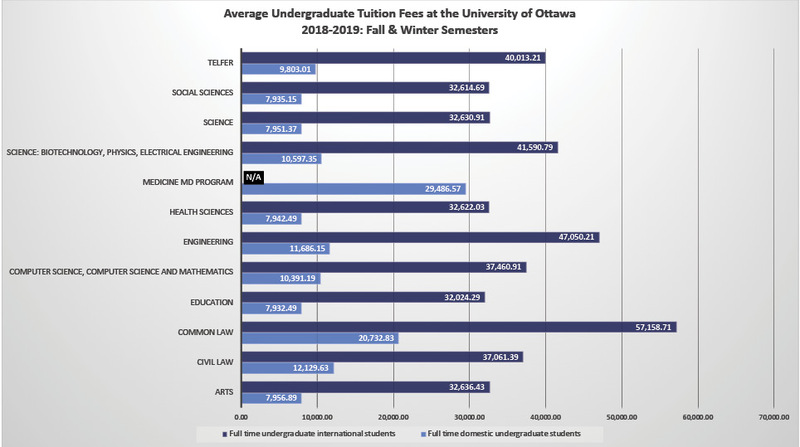 This will not only result in an increased workload for APUO members (who are already overburdened) but also in a considerable impoverishment of teaching, research, and collegiality at the University of Ottawa – not to mention the dramatic impact this decision will have on the academic career prospects of doctoral candidates. APUO / Workload: The APUO has proposed clear guidelines on correcting workloads that are significantly higher than the previously agreed-to workload benchmark of 1992-1994. In 2014-2016, some academic units had a 200% higher student contact hours than in 1992-1994. The Central Administration has rejected our proposal and instead proposed to replace the 1992-1994 benchmark with the 2014-2016 number of student contact hours. This modification would have serious deleterious impacts for academic units experiencing increased workload such as many units in the Faculty of Engineering and the Telfer School of Management. APUO / Computers: The APUO is demanding that non-functional computers be replaced with new systems. Central Administration rejects this proposal. APUO / Course releases: The APUO is demanding more flexibility in how it can allocate its course releases. Central Administration rejects this proposal. APUO / Librarians: The Parties are discussing changing the hiring processes. The APUO is proposing that members are consulted when their positions are modified. Central Administration rejects this proposal. APUO / CSAP: The APUO has proposed a four-month professional leave per each five-year contract for CSAPs. The Central Administration has proposed a similar leave but using qualifying criteria that excluded ALL existing CSAPs for benefiting of the leave. Both Parties: Both Parties are working to establish a joint working group study and correct gender salary gaps. The Negotiating Team continues to work very hard to seek mutually-agreeable solutions in the context of bargaining. You can show your support for the Negotiating Team by promoting the #Respect Campaign to help us reach a fair deal.